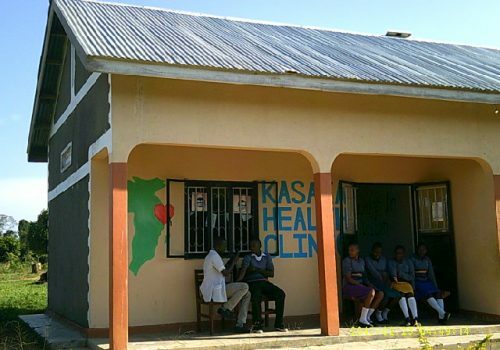 With the help of a group of British medical students, we have been able to build and equip a much needed Health clinic in Kasaka. This will provide healthcare where it is most needed. At present, we employ 2 full-time nurses. They are responsible for the healthcare of the children at both schools. 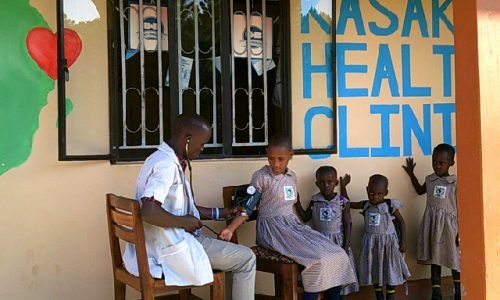 Each child has a health check every term, and a vaccination service is offered to all our children. They are also able to give a basic first aid service for the local communities, and are the first vital port of call for the rural community. Our team of qualified social workers care for the children and also act as a liaison service between the school and the families. They encourage the children to stay in school, by showing their parents that an educated child can help the whole family prosper. They also keep day to day records of the children LIA and their sponsors too, and when sponsors purchase gifts for their children the social work team has the pleasure of delivering those gifts. Over the coming year, our health care and our social worker teams are planning an outreach project, which will go into the local communities offering education about hygiene and sanitation, HIV prevention, child protection, and the prevention of early marriage. This work, within these communities allows them to identify children who may need sponsorship. (c) 2019 Love in Action (International) UK registered Charity No. 1122493. Love in Action Uganda Registration NGO S.5914/6097.